In the early 1960s, Giuseppe Arangiaro embarked on his endeavor. He soon realized that “made in Italy” items guaranteed success, so he began exporting his creations; in the space of a few years, he became one of the biggest exporters of modular kitchens, such that his exploits attracted the attention of an American multinational company. Miton loves … people, this is why we create concepts in harmony with contemporary lifestyles, transforming the kitchen into an increasingly personal space, where man is at the center of the design process. Miton loves the various cuisines of the world reflected in ancient traditions that transform single ingredients into works of art, in which the mastery displayed by peoples delight our senses, every day. In the end, each of these aspects reflects our philosophy based on creativity and quality. 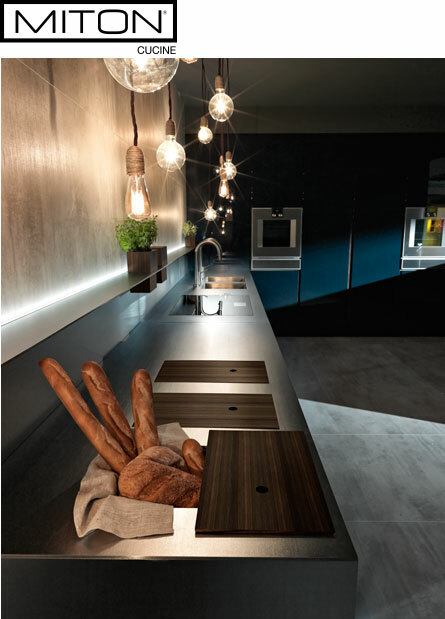 "Kitchens reinterpreted through an innovative design of enhanced functionality." © 2017 Da Vinci Cucine All Rights Reserved.